From 7pm, a friendly quiz with proceeds to charity. The committee has set Sunday, 18 November 2018 at 10.30 for this yera's AGM. Below is th Notice of the AGM, the current rules (no changes proposed), together with advice on how to put forward a proposal, or an appointment to committee, upon which the meeting will vote. By attending the AGM you can make a difference. Team quiz night - Sailors v Rowers v Stollers v anyone else. 6.30pm for curry, 7.30pm quiz starts. 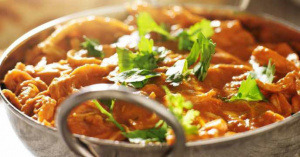 Contact Nina (commodore@saundersfoot sailingclub.org.uk) to specify curry choice (meat or vegetarian), or if just attending the quiz. The Club is supporting the NYDS 2018, and will be open from about 10.30am for pre-swim teas and changing, then the bar will be open after the swim, with bacon butties also on sale, and some charity fund raisng.